A rising number of people are being caught out by "phantom goods" scams - when items are bought online but are never delivered, Citizens Advice says. Cars, flights, furniture and insurance are among the goods and services which buyers think they are getting at a bargain, but which do not exist. The charity said nearly all of those tricked failed to get their money back. The average loss was £1,100, it said as it urged people to take their time over online purchases. 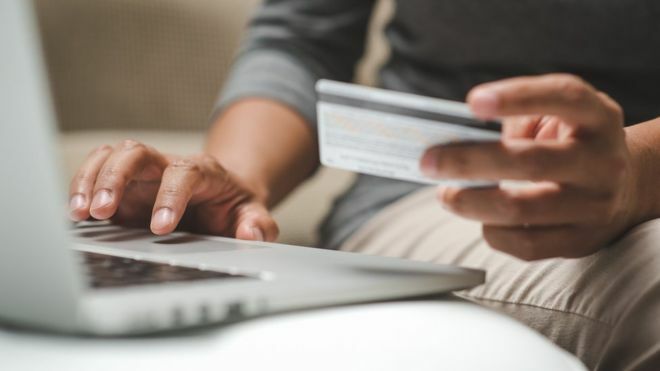 "With so many people shopping online to compare deals, scammers are using numerous tactics to target people with phantom goods," said Gillian Guy, chief executive of Citizens Advice. "They are drawing people in with cut-price deals and then persuading people to buy items with phoney recommendations from customers. "It is really important that people don't rush into buying an item when they spot a bargain, but take some time to make sure it is genuine first." The government said that social media accounts and websites linked to scams had been closed and hundreds of arrests made. Although phantom goods only account for a fraction of scam cases, online shoppers are being urged to avoid paying for items online via a bank transfer, encouraged to research a trader before agreeing to a purchase, and told to look for the padlock icon when paying online.